The Tourism Working Group works to develop a more interconnected tourism region and facilitate collaboration among industry partners in the Pacific Northwest and Western Canada. During the year, the Working Group helped to support other initiatives such as the PNWER Preclearance Task Force and the cross-border infrastructure projects which focuses on expediting cross-border travel and tourism. PNWER has long supported “Harbour to Harbor” seaplane service between Vancouver, British Columbia and Seattle, Washington. British Columbia and Washington state share significant economic and cultural ties including the remarkably successful Two Nation Vacation initiative that has attracted international visitors and accelerated joint infrastructure and high technology investments. “Harbour to Harbor” is an important addition to the rich mix of highway, rail, ferry, cruise ship, seaplane and fixed wing aircraft transportation operations that uniquely defines our bi-national region. Vancouver and Seattle share similar innovative, risk-taking cultures and a one hour “Harbour to Harbor” seaplane connection will accelerate the “Cascadia Innovative Corridor” initiative launched by Microsoft and others that has expanded cross-border employment and attracted world wide talent to the region. Our regional border security agency leaders also have a well-deserved reputation for cross border cooperation and effectiveness in partnering with private sector transportation providers in deploying innovative, technology based procedures for enhanced security. 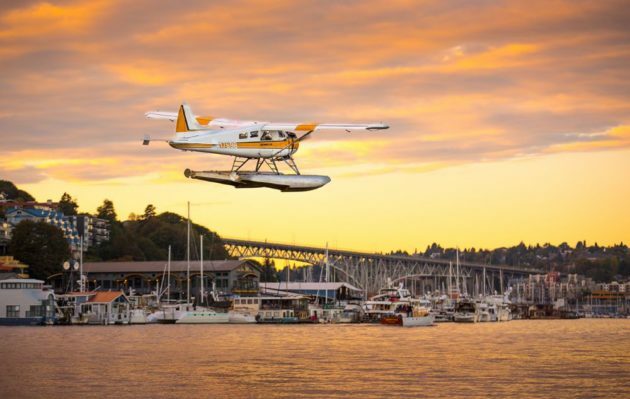 “Harbour to Harbor” seaplane service affords Transport Canada and the Canada Border Services Agency a new and exciting venue to continue to showcase Canada’s innovative approach.